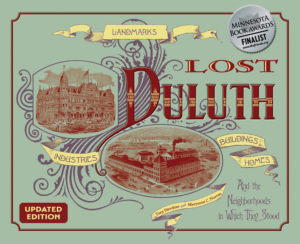 In 1871, barely two years after arriving in Duluth, Charles F. Johnson wrote in his diary, “I have hung myself on the future prosperity of this young city, and it is not pleasant to think that I may be destined to hang here like a scarecrow on a bean pole, a warning to young adventurers…and as for failing, I will not fail, and be it through thick or thin, I will have a castle on Lake Superior yet!” Johnson indeed thrived in Duluth, and in 1881 built his “castle” along Fourth Avenue West in downtown Duluth. Johnson was born in Stockholm, Sweden, in 1843 and immigrated to Minnesota in 1853. During the Civil War Johnson served with the Ninth New York Volunteers, which saw action in several major battles, including Antietam, where he was wounded. He wrote a book about his war experience titled The Long Roll; it included sixty of his sketches. In 1869 he moved to Duluth with his wife Mary and their children Frederick and Emma and set up shop as a stationer and bookseller in his Pioneer Bookstore. He continued to sketch (and later photograph) Duluth; perhaps his most famous sketch is that of the temporary suspension bridge used to cross the Duluth Ship Canal before it was permanently bridged. He also sketched a notorious event in 1873. After heavy rains, part of Fremont Township—a swampy area found where the Duluth Entertainment and Convention Center stands today—floated out through the canal and into Lake Superior. Johnson and three others gave chase in a rowboat. The next day the “island” broke up along Minnesota Point. Johnson established the town’s first Free Circulating Library in 1870, acted as the town’s first comptroller, and served in Duluth’s first volunteer fire department, first parks commission, and city council. 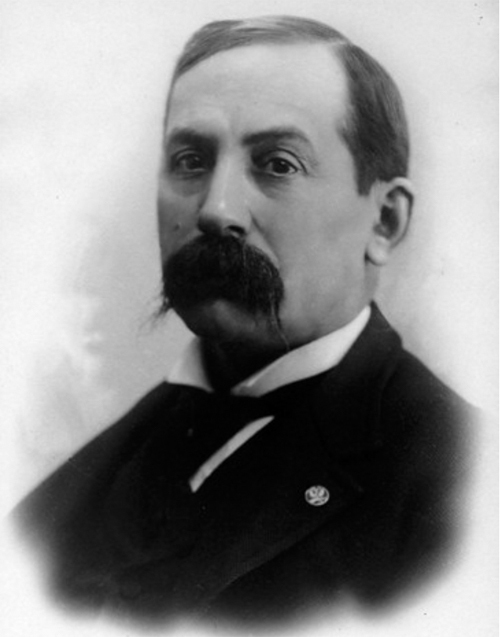 He remained in the book trade until 1889 when he became Duluth’s Federal Customs Collector. Johnson died of tuberculosis in 1896. Christie Printing purchased the house in 1907 and razed the building to construct an office; today the Government Services Center Building occupies the site.